When I was 5 years old, I started taking piano lessons. I can still picture my red John Thompson (I believe) book, circa 1965. I think I could pick a couple of those pieces out on the piano from memory if I tried. The piano and its eagerness to step up and be just about anything that’s needed — rhythm, bass, melody, percussion, or simply embellishment — has won the place in my heart of ALL-TIME favorite instrument. So when I saw this little stripe in a pink sweater, I knew I had to make piano keys out of it. 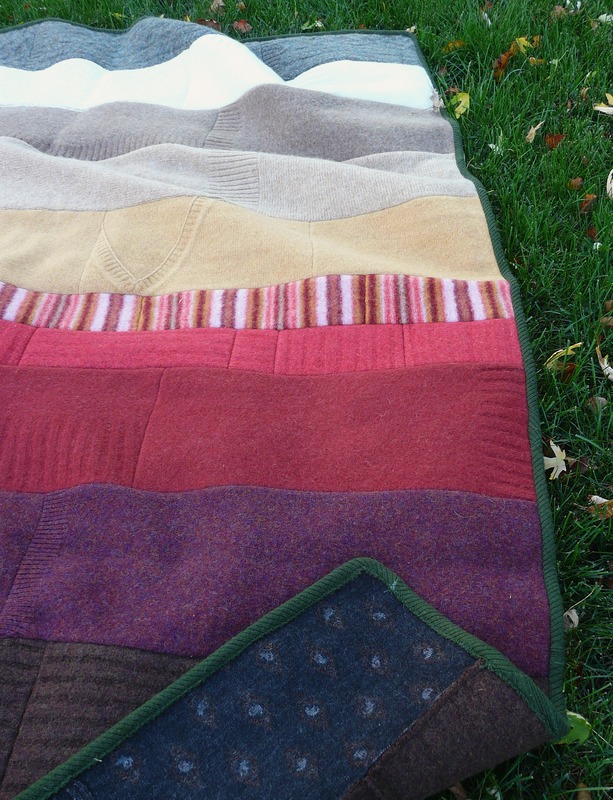 Hmmm…how about packing a summer picnic, spreading out this blanket and listening to a symphony at the local outdoor amphitheater? 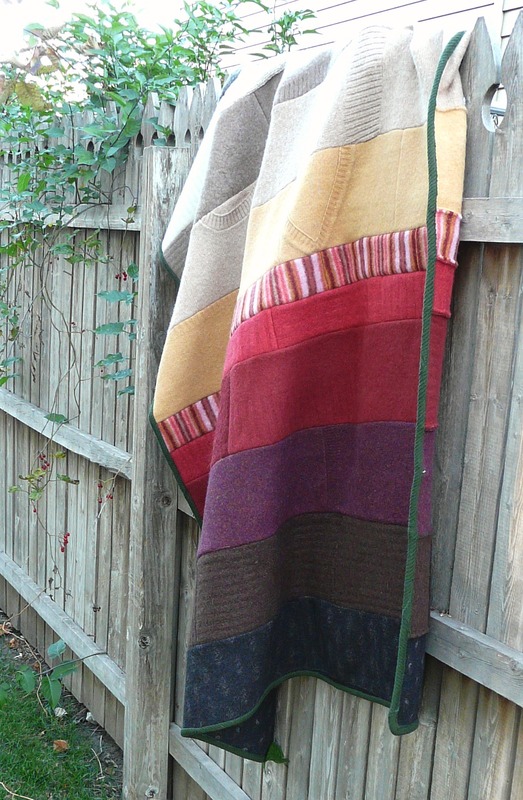 This blanket has been modified as “J Loves J” and has gone to a good home. So is this no longer available?